The Alafia River runs through Hillsborough County, particularly through the Southshore area. This allows the community great opportunities for recreation such as kayaking or visiting the trails at Alafia River State Park. A slice of beauty so close to the core of Tampa Bay, the Alafia allows for amazing views at these waterfront restaurants and bars in the Southshore area. 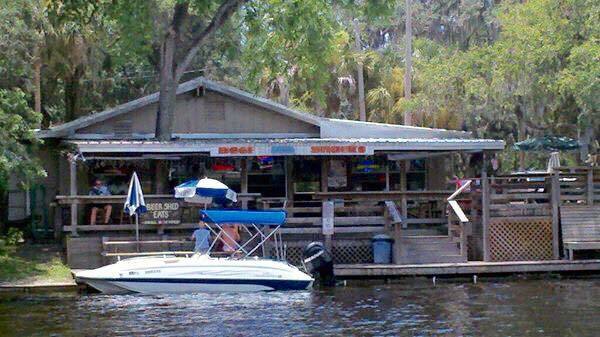 Check out the list of the best bars on the Alafia River to relax by the water! The Beer Shed is famous among Riverview residents, it even got a shout out from the microphone at the 2018 The Greater Riverview Chamber of Commerce Annual Dinner. If you want a gorgeous view of the Alafia River while not spending much on beer, this is the place for you to go to drink like a local in Riverview! Do you want to know more about some of the best local Restaurants and Things To Do in Southshore and all of the Tampa Bay area? Make sure to stay right here at 813area for the latest! Register for an account today, it's free! Photo of The Beer Shed from 813area.